The word miracle can mean different things to different people. To some people it means experiencing a happy event like having a baby. To others it means a statistically improbable event occurring like winning the lottery. Yet others say a miracle happens when the laws of nature are broken. But none of these examples require a supernatural being to be at work. I define a miracle when a supernatural being does something to cause awe and wonder in people inviting them to respond. What is The Relationship Between Miracles and the Laws of Nature? Are You Aware of Natural Phenomena That are Often Mistaken for Miracles? Do You Think That All Miracle Claims Can Be Accounted for Naturally? Just because people have mistaken natural events for miracles, doesn't mean miracles do not occur or that people are incapable of correctly identifying them. It simply means that some people make mistakes. Since we know people make errors, it could also be the case that some miracles are mistaken for natural events. What determines if miracles can take place is whether or not supernatural entities exist and act in the natural world. If we live in a materialistic universe (a world with only material things), miracles are impossible. If the God of the Bible exists, then miracles can, and probably do happen. The best way to determine if such a God exists is to determine if the historical evidence points to resurrection of Jesus as having took place. The Bible treats the resurrection as a public historical miracle event, and teaches if it did not happen, then one should not believe in Jesus (1 Cor 15:14). You have to decide for yourself. 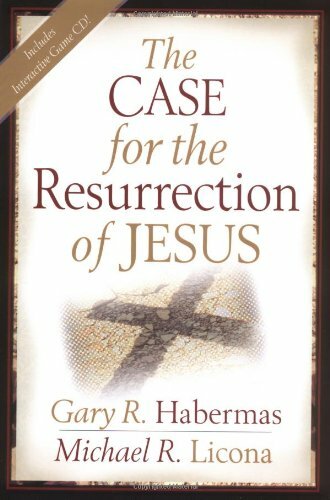 The Case for the Resurrection of Jesus by Gary Habermas is a great place to start your investigation. You can also watch him lecture on Youtube. What Can Science Say About Miracles? Science can't prove a supernatural agent caused a miracle to happen because science only deals with natural phenomena. Science can only show that evidence is consistent with a testimony or disprove one. If someone says they broke their arm on Saturday, got an X-ray, received prayer on Sunday, claim a miracle happened, and got another X-ray on Monday showing the break is gone, then the medical evidence could corroborate the testimony. Or if after a close examination of Monday's X-ray the break is still there, then it could disprove it. How Will You Go About Making Your Documentary? I want to secure five testimonies. I am looking for testimonies of organic or structural failure of a body part with a rapid recovery after prayer that can't be accounted for by natural phenomena. I hope to corroborate them by gathering before and after medical evidence and interviewing the patients’ doctors. A person will contact us with their testimony of healing. We will provide them with a form to sign. This form will allow us to contact their doctors, discuss, and collect any necessary medical records. We will interview the person who claims to be healed upon receiving a signed and notarized copy of the form. Next, we will contact the relevant doctors offices to collect the data we need, and ask to interview the doctors involved over the phone. Then we will discuss the case as a team. Upon discovering the right type of situation for our documentary, we will proceed to interview the person claiming healing on camera to capture their testimony. Then we will interview any relevant doctors who agree to be on film. What Will Keep You From Being Fooled? Hopefully, my team. I will be surrounding myself with a team of investigators, doctors, philosophers, scientists, and theologians. What Happens If You Don't Find The Evidence You Need? I don't make the documentary. What's Your Plan to Honor Everyone Involved? I want to respect and honor everyone involved. I will have everyone who is filmed sign a document that warns them of the possible negative attention something like this might bring. Secondly, if needed, I will attempt to deidentify them to the degree we both agree is appropriate. I will only use people that I think are of sound mind, and able to endure media scrutiny. Lastly, I will have the film crew sign non-disclosure forms. Lastly, share this. By getting the news out, I will be more likely to get testimonies I need.